Usually when a quirky or attractive bike and rider goes past me or near me, I am too busy riding or doing something else or not quick enough and the zebra striped bicycle or neon fixie or group of girls on beach cruisers will pass me by without me being able to catch them on film. Yesterday, however, I saw this man and was perfectly placed to get a close shot of him: At first I thought he was in fancy dress, then I noticed that all his colourful gear was waterproof, and it had been raining earlier in the day. I missed his boots but they were neon green gumboots, you can see the tops of them. 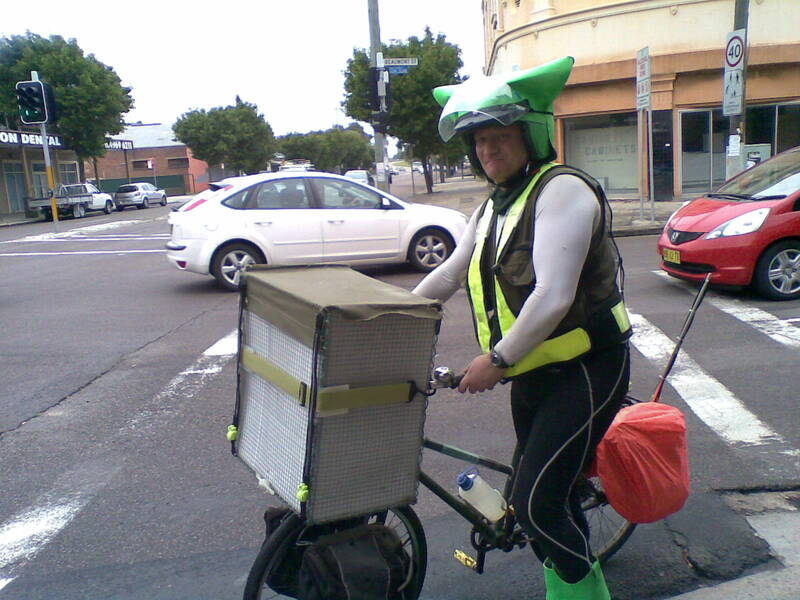 As he receded into the distance, I thought this was a very practical solution to wet weather riding, but one which I will probably not emulate. 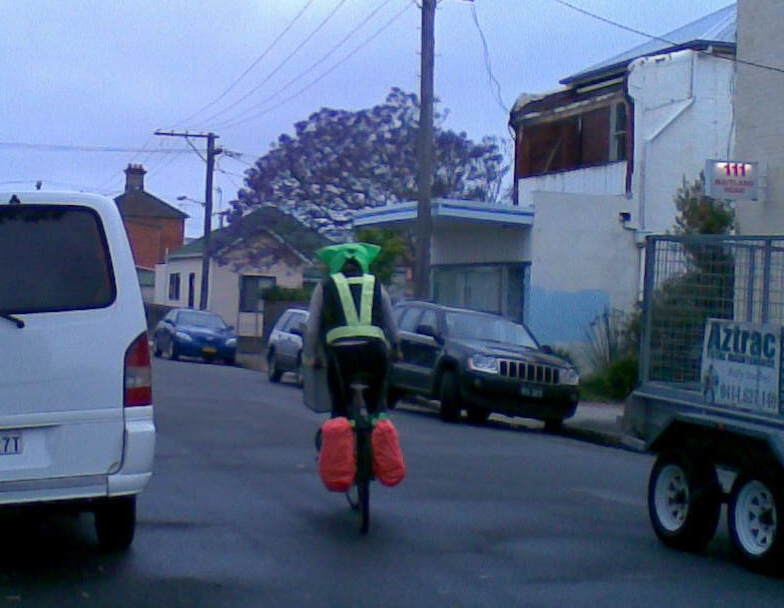 This entry was posted in Wet weather cycling and tagged Beaumont St, Cargo bikes, hamilton, quirky bike, rain. Bookmark the permalink.